Donald Trump has stated that although the US strongly supports NATO, it wants all members to make their full contributions to the alliance. His comments were made during a speech at the US Central Command in Florida. The comment came just one day after Trump – who has long been critical about NATO's role and the cost of its upkeep – committed to attend the alliance's summit in Brussels in May. The White House has confirmed that Trump will attend the summit. Trump spoke with NATO Secretary-General Jens Stoltenberg on the telephone on Sunday night, during which the two leaders "reconfirmed the importance of the alliance in troubled times," according to a NATO statement. 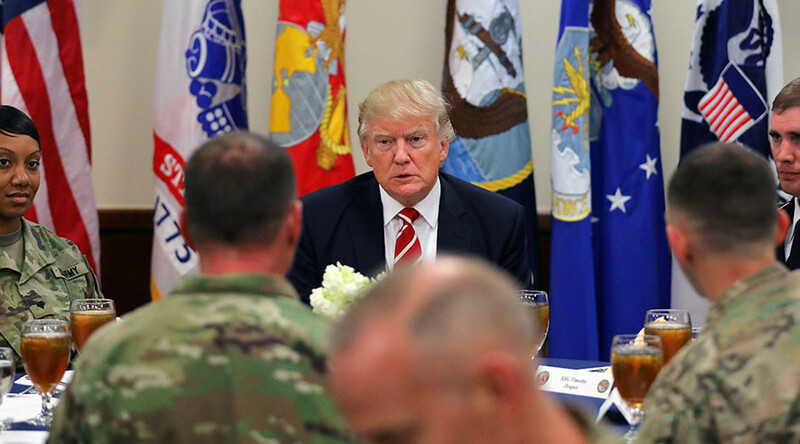 Trump also remarked in his speech that the US military has been "depleted," but that such depletion would no longer be the case. The comments appeared to represent a certain backtracking by the president, who just last month accused the military alliance of being "obsolete" during a joint interview with the Times of London and Bild newspaper. "I said a long time ago that NATO had problems," Trump said in that interview. "Number one, it was obsolete, because it was designed many, many years ago." "Number two, the countries weren't paying what they're supposed to be paying," he added, stating that this was unfair to the US. Only five of NATO's 28 members – the US, UK, Greece, Poland and Estonia – currently meet the alliance's target of spending at least 2 percent of GDP on defense.